Oh No! A.J. Pierzynski … Read A Book? As we know, A.J. Pierzynski’s reputation preceded him. He was designated for assignment by the Boston Red Sox on July 9 — the very day Yadier Molina tore a ligament in his thumb sliding into third base. 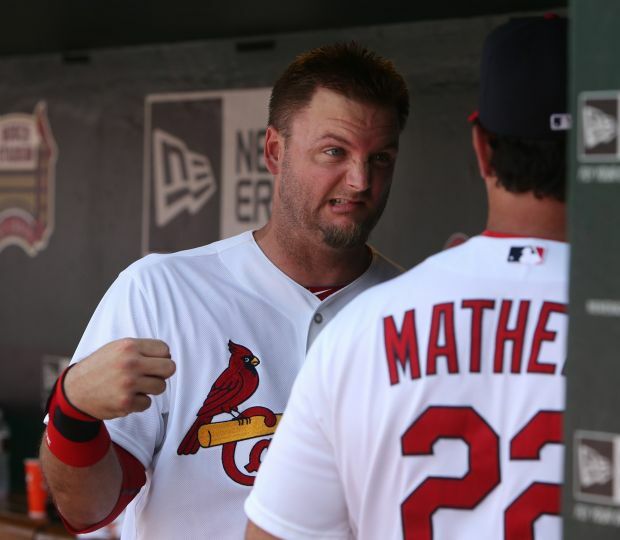 There was Twitter chatter that the Cardinals should sign Pierzynski once the full extent of Yadi’s injury was announced the next day, yet also much consternation since we also read how much of a jerk he is. Fast forward to July 26, when he was signed by the Cardinals — at a time when they needed a little spark as they were in a 4-game losing streak that included being swept by the Rays and a loss the day before to the Cubs. Pierzynski immediately made an impact in his Cards debut at Wrigley Field, going 3 for 4 amid boos from the Cubs fans. He’s now played seven games as a Cardinal, is hitting .320 in those games and was a key part of the comeback rallies in both last night’s and Sunday’s respective 3-2 victories. The Cardinals have won 6 of the 9 games they’ve played since he joined the team on July 26. Pierzynski preferred to play with his kids rather than make small talk with his teammates. He preferred to read a book on the team flights rather than participate in jocularity. Wanting to play with his kids? Wanting to read a book instead of goof off? Open, honest — for the good or the bad. Is that all terrible? Plays with his kids, reads a book, says what’s on his mind, hates to lose and the Cards have won six of nine since he arrived? Thanks to Mary Schless Gage for the article. This entry was posted in 2014 Cardinals and tagged A.J. Pierzynski, Boston Red Sox by Christine Coleman. Bookmark the permalink. I was not too keen on the idea of AJ as a Cardinal at first. But I am starting to come around. As long as he produces and doesn’t start fights or cause trouble in the clubhouse, I am fine with it.